Local back roads are perfect for cycling while the keen cyclist will relish being located so near to the routes around Loch Earn, Loch Tay & the Sma’ Glen. For golfers, there are some 30 courses in Perthshire – and not just the famous Gleneagles courses. 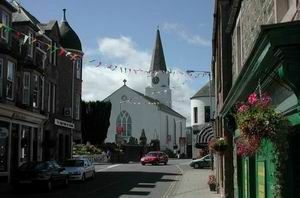 Comrie is an ideal base from which to explore Stathearn, Perthsire, the Scottish Highlands, Perth and Stirling. Even Edinburgh and Glasgow are easy trips. Located in the very centre of Scotland on the A85 between Perth & Crianlarich, Comrie is an ideal base for drives into Perthshire, Stirlingshire, Loch Lomond, The Trossachs and beyond. 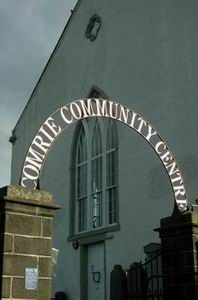 Comrie itself is a typically friendly Scottish village with a good range of local amenities including convenience stores, butcher, baker, newsagents, quality pubs, restaurants, cafes and a delicatessen. Comrie is a regular contender for the annual national Village in Bloom competition, and has an excellent tradition of laying on a range of festivities for all ages during the Comrie Fortnight each July and August and at Hogmanay (New Year’s Eve), with the Flambeaux procession. There are glorious walks to suit all abilities, good fishing is found locally as well as further afield. The local lanes and roads are wonderful for biking and there are plenty off-road tracks to suit the more adventurous. Golf is a way of life in Perthshire with around 40 courses and there are courses in the county ranging from our own local 9 hole course to the world-class championship courses at Gleaneagles, a half hour’s drive away. The White Church stands proudly in the centre of the village and is our Community Centre used by many of our community groups, as a venue for music gigs, parties and weddings. If you would like to view the facilities or talk about what the centre can provide and fees involved, please do not hesitate to contact Jackie Mowat – Administrator, The White Church, Dunira Street, Comrie Perthshire PH6 2L. Tel: 01764 679001 or visit the White Church Website.